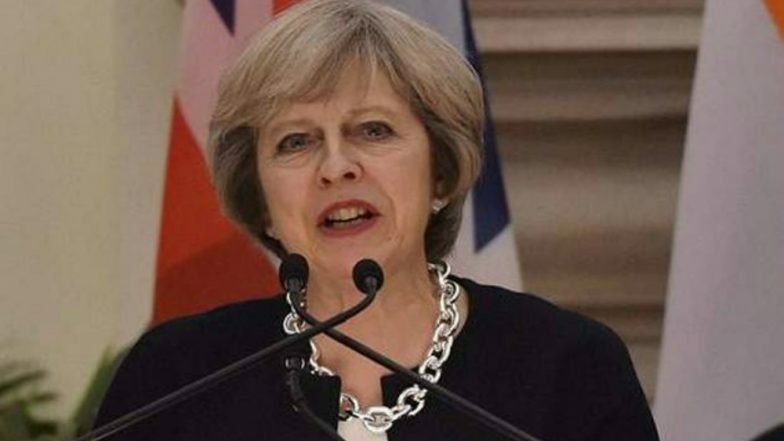 London, April 4: British MPs have voted by a majority of one to force Prime Minister Theresa May to ask for an extension to the Brexit process, in a bid to avoid any no-deal scenario. The bill, put forward by Labour's Yvette Cooper, was passed by the Commons in just one day, the BBC reported on Thursday. However, it will need to be approved by the Lords before it becomes law. It would also still be for the EU to decide whether to grant any extension. As British MPs Vote on Brexit Options, EU Says it is 'Running out of Patience'. The vote comes after Theresa May met Jeremy Corbyn for talks on Brexit. The discussions between the leaders, who are trying to find agreement on a way forward, were described as "constructive", but Corbyn added that they were "inconclusive". If they cannot, the Prime Minister has pledged to put a number of options to the vote -- including the deal she has negotiated with the EU, which has already been rejected by MPs. Cooper's attempts to prevent a no-deal departure from the EU -- which passed by 313 votes to 312 -- had faced opposition from Tory Brexiteers. They expressed frustration at the highly unusual process of a bill -- the first stage of enacting a law -- clearing all stages in the Commons in a matter of hours, rather than months. One, Peter Bone, urged Speaker John Bercow to "make this farce stop" and prevent further votes. The bill was unusual as it is normally the government that decides which laws to put to the House. But last week MPs voted to allow backbenchers to take control of business for the day, giving Cooper the opportunity to have the bill debated and voted on. As it stands, the UK has until April 12 to propose a plan to the EU -- which must also be accepted by the bloc -- or it will leave without a deal on that date. Many MPs fear such a scenario would prove damaging to business and lead to chaos at ports. May and Corbyn agreed a "programme of work" on Wednesday, with a No 10 spokesman saying both parties showed "flexibility" and "a commitment to bring the... uncertainty to a close".